Exciting, creative, controversial and quirky. There are some words to sum up the "Moshi Moshi Japan" Festival that happened last month. 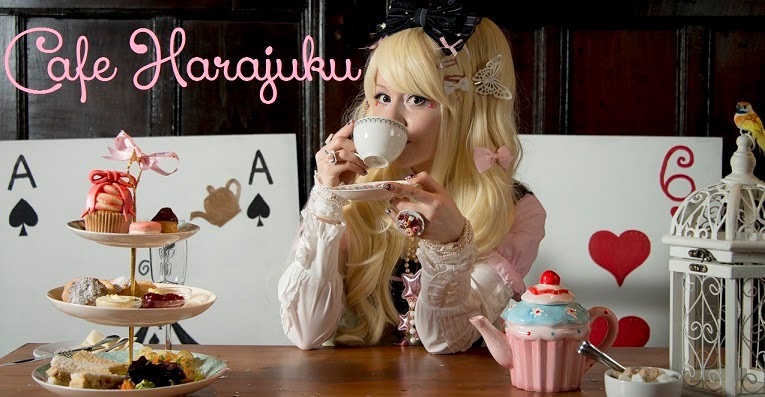 Set as an event to celebrate Japanese culture, Moshi Moshi Nippon festival comes from the same creators that have brought us Harajuku Kawaii festival. This time based in a stadium the festival was uniting fashion, music, otaku and other pop- and subcultures. 1) Foreigners got in for free if they booked in advanced and showed their passport. 2) There was a segregated area in front of the stage, exclusively for foreigners. Certainly this must have been done with the best intentions, but it still felt kind of wrong to me on certain levels. I'd rather have us all pay 1000 yen entrance fee and have equal opportunities than letting the Japanese nationals pay over 2000 yen while I walked in for free. There were several stages, ranging from Idol groups (Dempagumi etc) over fashion shows (KERA fashion show) and stage artists like Kyari Pamyu Pamyu. There were also stalls, ranging from hair stylists, wig shops, nail design and merchandise to fashion brands and even cosplay. The set up with stalls and stages was quite impressive and there were many people with press tags taking pictures and videos. Unfortunately for "normal" visitors most things were "NO PICTURES" so I could not really make a video about the event. The final event featured a fashion show with 100 models, a (slighly cringe worthy) Karaoke Contest and a Kyari Pamyu Pamyu live show. Personally it was worth waiting for Kyari. She even sang Fashion Monster and Pon Pon Pon, so I was more than happy to see some of my favourite songs performed on stage. I was jumping and singing along until I almost lost my voice, it was that much fun. All in all it was a very impressive event. I just hope next time it is either free for everyone or we all pay the same price. Special treatment for foreigners somewhat does not sit right with me. I would like us all to be equal, on all levels. Nevertheless I am grateful for a fun day out. Hopefully next time the organizers throw an event like this, there will be more chances for us to take pictures too, so I can make a video for you guys. And yes, as always, my head is in YouTuber mode. I want to make fun videos for you wherever I go. It has altered the way I think about fun events. I always think "I want to show my viewer friends this", even if it means that I am experiencing only half of the event by setting up my camera and dashing around. I hope it is worth it and gives you a taste of being here with me.